The Supreme Court today dismissed the pleas of activist Teesta Setalvad challenging the Gujarat High Court order rejecting their pleas for de-freezing of the personal bank accounts. 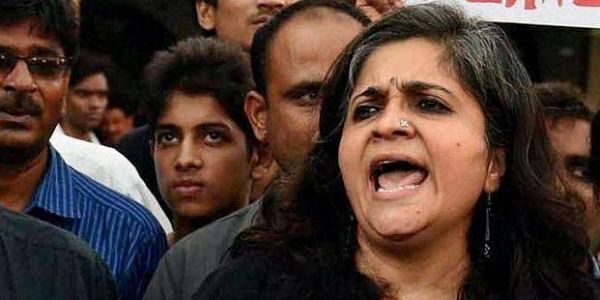 NEW DELHI: The Supreme Court today held that activist Teesta Setalvad and her husband owe an explanation to Gujarat Police for alleged misappropriation of "huge funds" received by their NGOs for the victims of the 2002 riots. The apex court, which dismissed their pleas challenging the Gujarat High Court order rejecting defreezing of their personal bank accounts, said the investigations against them and their NGOs -- Sabrang Trust and Citizens for Justice and Peace -- were still in progress and there were allegation of non-cooperation by them in the probe which strengthens suspicion against them. It said police was in possession of materials pointing out circumstances which create "suspicion of the commission" of offences of cheating, breach of trust, forgery and criminal conspiracy. The freezing of nine bank accounts by Ahmedabad Police had come soon after its crime branch started probing a case in which Setalvad and others were accused of embezzling Rs 1.51 crore collected to convert Gulbarg Society, which was affected by riots, into a museum. While dismissing their appeals against the October 7, 2015 verdict of the high court, a bench comprising Chief Justice Dipak Misra and Justice A M Khanwilkar, said "the suspicion entertained by the investigating agency as to how the appellants (Teesta Setalvad, her husband Javed Anand) appropriated huge funds, which in fact were meant to be disbursed to the unfortunate victims of 2002 riots will have to be explained by the appellants." "Indisputably, the investigation is still in progress. The appellants will have to explain their position to the investigating agency and after investigation is complete, the matter can proceed further depending on the material gathered during investigation," the bench said. During the hearing, Gujarat government had alleged that the activist couple had siphoned the money collected in the name of victims for "personal use" like wining and dining and the activist had claimed that the action against them was "completely mala fide". The state government had alleged that they had spent the money received in the name of victims in "liquor, movies, food, personal items and Blackberry phones". The activist couple had countered the charges and said money spent does not belong to the government and there was no complainant who had said he or she has been cheated. While rejecting their pleas, the top court observed that the police had seized the accounts in compliance with section 102 (power of police officer to seize certain property) of the Code of Criminal Procedure (CrPC). "Suffice it to observe that as the investigating officer was in possession of materials pointing out circumstances which create suspicion of the commission of an offence, in particular, the one under investigation and he having exercised powers under Section 102 (Power of police officer to seize certain property) of the CrPC which he could, in law, therefore, legitimately seize the bank accounts of appellants after following the procedure prescribed in sub-Section (2) and sub-Section (3) of the same provision. The top court, however, allowed Setalvad and her husband to approach the court for de-freezing of their bank accounts once the investigation was complete. "Once the investigation is complete and police report is submitted to the concerned court, it would be open to the appellants to apply for de-freezing of the bank accounts and persuade the concerned Court that the said bank accounts are no more necessary for the purpose of investigation." It will be open to the court concerned to consider that request in accordance with law after hearing the investigating agency, including to impose conditions as may be warranted in the fact situation of the case, the bench said in its 42-page verdict. All nine bank accounts of the activist and her husband were seized 10 days after an FIR was lodged against them by Gujarat Police on January 4, 2014. The court noted prosecution's submission that substantial discrepancies have been noticed from the bank accounts. "Keeping these principles in mind and the material on record, it is noticed that the prosecution has alleged that the two trusts are run by the private appellants and other accused. They were actively involved in collecting huge funds as donation in the name of providing legal assistance to the 2002 Gujarat riot victims. "Such donations received by the two trusts had never reached the victims, the members of the Gulberg Society in respect of which grievance has been made in the subject FIR. Further, substantial discrepancies have been noticed from the bank accounts, copies of audited account statements and balance sheet. The final account did not tally with the accounts, as submitted," it said. The court noted that they provided incorrect information and there was also a case of non-disclosure and suppression of material facts which create suspicion of the commission of offence under investigation. It further noted that in the proceedings filed before different courts, it was alleged that incorrect plea has been taken by the appellants, suggestive of the fact that their accounts were not compliant and duly scrutinised by competent authority. The bench, however, clarified that at an appropriate stage or upon completion of the probe, if the investigating officer is satisfied with the explanation of appellants and is of the opinion that continuance of the seizure of the stated bank accounts or any one of them is not necessary, he will be well advised to issue instruction in that behalf.